You are working on a sketch . You drew four lines and added four dimensions. 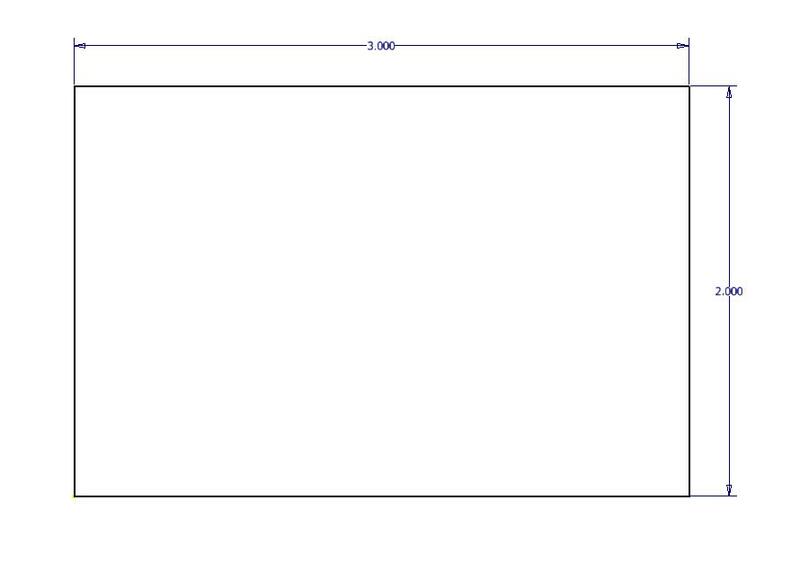 When you go to edit the dimensions to their desired values, you get a very unexpected result. Our Helpdesk often gets this type of call. Here I am going to show you how to correct those. 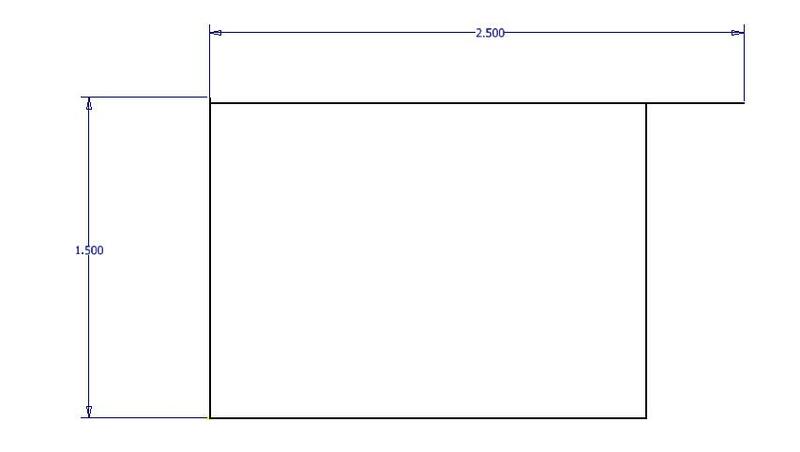 Or maybe you drew the same box as a rectangle. Everything looks good, but you notice that even though you started at the origin you still need two constraints. 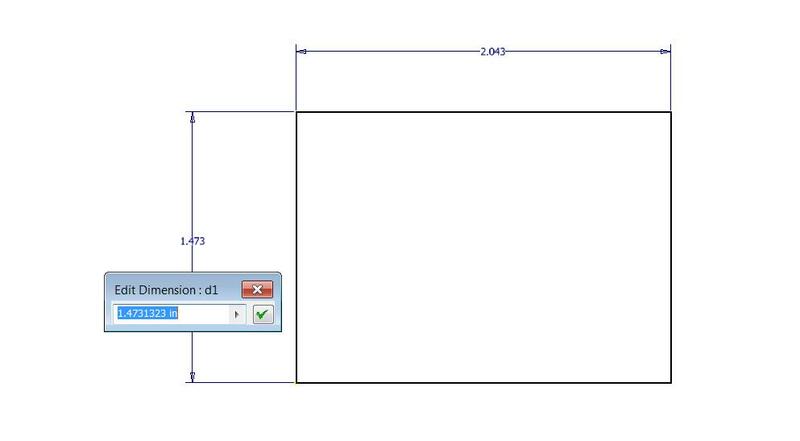 In both cases the you have the same culprit: no coincident constraints were automatically applied during the sketching. The solution: Constraint Inference, Constraint Persistence and Constraint Options. Constraint Inference is the implying of constraints to existing geometry when drawing new objects. For example: a new line can be pulled tangentially from an existing circle. The tangential constraint is inferred during the draw command. 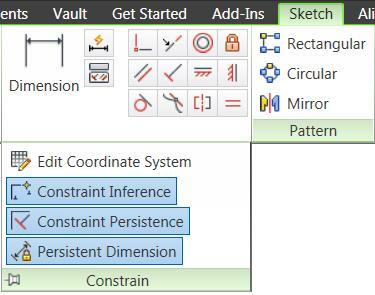 Constraint Persistence controls whether the inferred constraint is applied after the object is drawn. Does that tangent constraint get added to the sketch, or was it just a guide while drawing the line? Both of these options typically should be on. 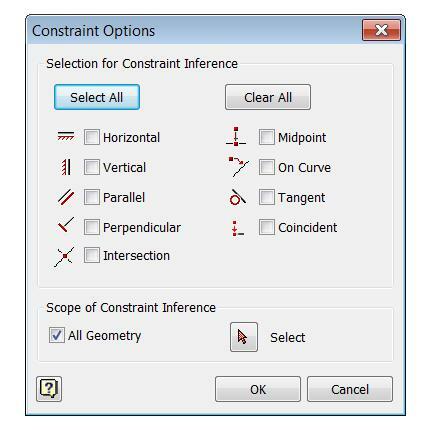 Constraint Options controls what constraint are available for inference. Right click while in a sketch, with no command active, and pick Constraint Options. In the two cases shown here the missing Coincident constraint inference was the problem. I will typically run with all the choices on. I have seen cases where the only Coincident constraint was missing. This resulted in extrusions using that sketch showing the dreaded “red cross” or the inability to select regions in the Extrusion dialog box. The ends of the lines weren’t constrained to each other! Setting the Constraint Options to include Coincident constraints solved the problem right away for new sketches. For existing sketches we had to manually add the constraints. I hope that helps you make sense of strange results and correct them in relation to sketch constraints.